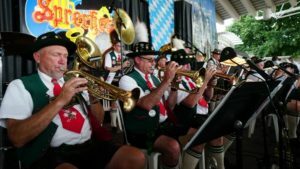 German Milwaukee is your Southeast Wisconsin source for information on all activities, events and resources of most German Societies in the area. Visit us often for updates on all things German in Wisconsin and Northeast Illinois. Want to go to a German themed event then check out our calendar page. Need to hire a German Band, Choir or Dance group then check out our list of performing societies. Have a desire to learn the German songs, dances, music or language then peruse the society pages and see what group might fulfill your interest. Looking for a bier haus, gift shop, market, restaurant or other event in the area, then see what our sponsors have to offer. German Milwaukee is the home of the German American Societies of Milwaukee which represents all the societies of Milwaukee and other areas of Wisconsin and Illinois. Our purpose is to engage in activities to further the understanding between U.S. and German speaking cultures by preserving the culture and histories of the German American societies.